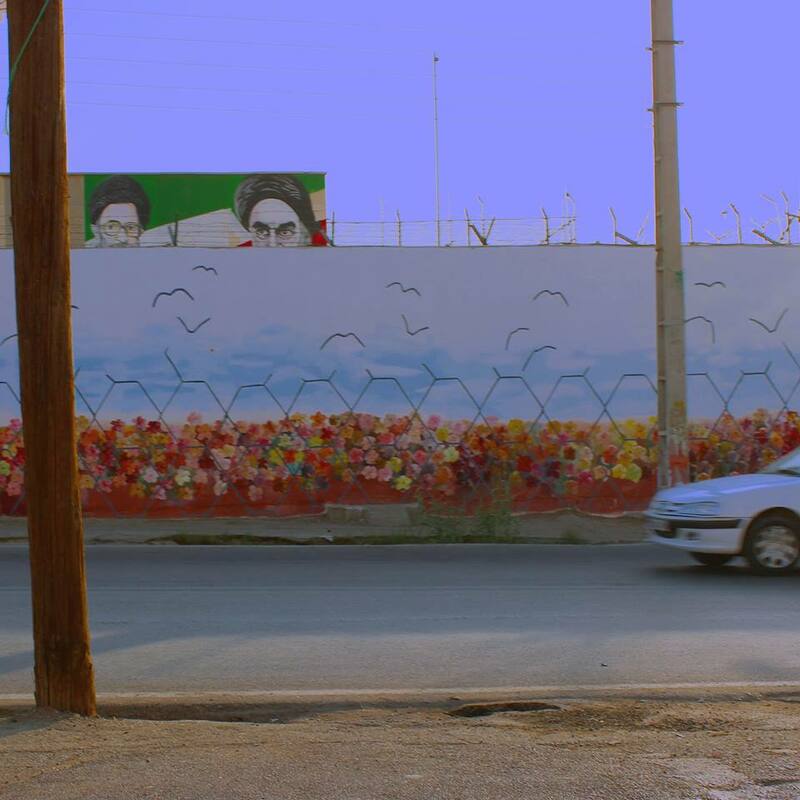 A friend in Iran took this photo of the prison at Shushtar, pointing out the freedom-celebrating graffiti on the wall and the mural of Iran’s previous and current Supreme Leader, Ruhollah Khomeini and Ali Khamenei. Prison is exactly where they belong. Not wishing to end up in the above prison, the photographer prefers to remain anonymous. After my own experience with Iranian prisons, I can understand that. This entry was posted in Iran, Photography, Politics and tagged prison, Shushtar. Bookmark the permalink. 5 Responses to For once, the right people went to prison. Kudos to the photographer; what an appropriate picture! Ähm, das war jetzt eigentlich der Kommentar auf dem Link zum ‘Iran-Abenteuer 2009’. Bin offensichtlich noch ein wenig beeindruckt. Die Links muss ich tatsächlich mal wieder überprüfen, aber die lange Geschichte im SPIEGEL ist eigentlich die einzig lesenswerte. Dort geht es weniger um mich, sondern überhaupt um diese Wochen der gescheiterten Grünen Revolution.